When a loved one dies due to the negligent, reckless or deliberate behavior of another, the surviving family members may be entitled to file a wrongful death lawsuit against that party. This type of lawsuit allows them to collect monetary damages for their loved one's untimely death. A wrongful death lawsuit is a civil court action that determines the amount of damages or compensatory money surviving family members should receive due to the wrongful death of their loved one. What Are the Grounds for Filing a Wrongful Death Lawsuit? Civil lawsuits require grounds, a legally supportable reason for the claim. 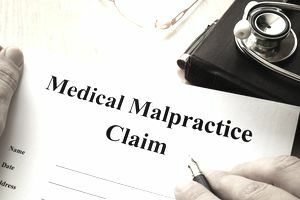 The premise behind a wrongful death lawsuit is that the deceased person not only lost his life due to someone else's negligence, or intentional act, but that his family members were directly impacted emotionally and financially due to his death. They must prove that their loved one's death was, in fact, caused by the other party's else's negligence, recklessness or deliberate act. The event was not brought about by his own action or inaction. Surviving family members must establish that they suffered measurable damages due to their loved one's wrongful death. Common grounds for wrongful death lawsuits include death caused by an automobile accident, a work-related accident, medical malpractice or an unlawful act that occurred during the commission of a crime. State laws dictate who can file a wrongful death lawsuit. Surviving spouses and children can file in all states. Extended family members, including grandparents and siblings, can file in some states as well. Family members must open a probate estate so they can sue on behalf of their deceased loved one. If minor children are involved, the court may require that a guardian be appointed to look out for their best interests. What Types of Damages Can The Family Collect? Not all states allow for punitive damages. All states have statutes of limitation that dictate how long you can wait to file a wrongful death lawsuit. If you wait too long, beyond the statute, you will be forever barred from doing so. If you believe that your loved one's death was caused by the negligence, recklessness or deliberate act of another, consult with an attorney to understand your legal rights and to determine if you should pursue a claim. Who Inherits in Rhode Island When There's No Will?